Returning from a walk to Rhuvaal lighthouse a view of Bunnahabhain distillery in the mild evening light. 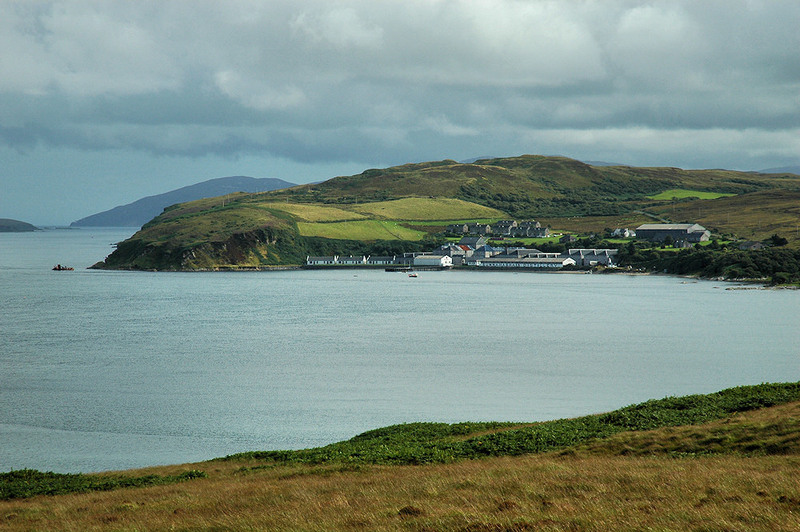 The Sound of Islay stretching out into the distance on the left, the wreck of the Wyre Majestic visible at the end of Bunnahabhain Bay. This entry was posted in Cloudy Weather, Distilleries, Landscape, Repost, Sunny Weather and tagged Bunnahabhain, Islay, Sound of Islay, wreck by Armin Grewe. Bookmark the permalink.